Dr Ji is currently an Associate Professor of Mechanical Engineering. He has been involved in a wide range of research projects in the general areas of dynamics, vibration and vibration control of mechanical systems. He has also undertaken a number of industry projects including capacity testing of large-scale bearings in nuclear power plant, chatter analysis of cold-rolling process, vibration analysis of gearboxes, design of magnetic bearings, design of nonlinear vibration absorber and isolators, failure analysis of ceramic insulators, design of a novel wind turbine. He has published over 70 journal papers in the areas of vibration, dynamics and control. His research expertise lies in dynamic modelling, vibration and vibration control, which includes rotor dynamics, magnetic bearings, nonlinear dynamics of mechanical systems, time-delayed mechanical systems, gearbox dynamics, wind turbine dynamics, synchronization and consensus of networked robotic systems, and vehicle system dynamics. Dr Ji has been an Associate Editor for International Journal of Bifurcation and Chaos (IJBC) since January 2012. The journal IJBC is widely regarded as one of few leading international journals in the area of nonlinear dynamics in applied science and engineering. The IJBC journal which is published by World Scientific is indexed on ISI Web of Knowledge. 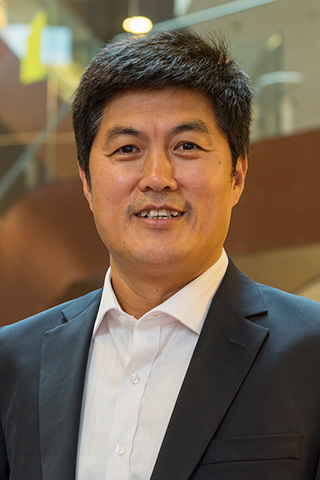 He has been serving as an assessor (previously OZReader) for ARC grant applications (DP, LP and Fellowship applications) since 2004, and an external reviewer for RGC (Hong Kong Research Grants Council) grant applications. He has been frequently reviewing journal manuscripts for over 30 international journals including the highly-respected journals: Journal of Sound and Vibration, Physica D-Nonlinear Phenomena, International Journal of Non-Linear Mechanics, Journal of Vibration and Acoustics–Transactions of the ASME, and Nonlinear Dynamics. He has been a member of the scientific committee and sub-session chair for several international conferences, such as the Second International Conference on Dynamics, Vibration and Control (held 23-26 August, 2006 in Beijing, China), and the Sixth International Symposium on Active Noise and Vibration Control (held in Adelaide, Australia, 18-20 September 2006), and the Fourth International Conference on Dynamics, Vibration and Control, held on August 23-25, 2014, Shanghai, China. © 2018 This paper investigates the stability and bifurcations of periodic solutions in three-degree-of-freedom vibro-impact systems based on the explicit critical criteria and the discontinuous mapping method. Firstly, a six-dimensional Poincaré map is established by taking the impact surface as the Poincaré section. The explicit criteria including eigenvalue assignment and transversality condition are applied to determine the bifurcation point of co-dimension one pitchfork bifurcation. The stability and direction of the bifurcation solution are then studied by using center manifold reduction theory and normal form approach. Secondly, the bifurcation points of co-dimension-two Hopf–Hopf interaction bifurcation and pitchfork–Neimark–Sacker bifurcation are determined by applying the explicit critical criteria, and the local dynamic behaviors are examined in the neighborhood of these co-dimension-two bifurcation points. Finally, a six-dimensional Poincaré map formed by choosing the constant phase angle as the Poincaré section is used to investigate the existence and stability of grazing bifurcation based on the piecewise compound normal form map. The causes of the discontinuous jump and the coexistence of attractors near the grazing periodic motion are explained for the three-degree-of-freedom vibro-impact system with a moving constraint. © 2019 Elsevier Ltd This paper is concerned with the multi-objective region reaching control for a swarm of robots which are formulated by Lagrangian dynamics. Two distributed multi-objective region reaching control protocols are proposed for the networked robotic systems under directed acyclic topology, and a unifying methodology is presented to perform the convergence analysis for the robotic systems with static and moving target regions. The control strategy is developed by using the potential energy function approach, and the specified shapes of the various desired regions are constructed by selecting appropriate objective functions. In this control strategy, a network of a large number of robots evolves into multiple groups, and the robots in each group only require communicating with their neighbors. Thus, the proposed control strategy is effective for multi-objective region reaching control for a swarm of robots in practical applications. Finally, simulation examples are given to show the validity of the theoretical results. © 2017, IMechE 2017. Direct-drive wind turbines, different from the standard geared wind turbines, widely use a direct-drive permanent-magnet generator to avoid the gearbox failures. In the absence of a gearbox in the drive-train system, the direct-drive generator operates at low rotating speeds. Thus direct-drive wind turbines require a larger sized generator (higher weight) to transfer the kinetic energy into electrical energy. The inherent unbalanced magnetic pull force of the generator can have impact on the vibration behaviour of the drive-train system. This paper studies the effect of rotor position and weight adjustment on the vibration behaviour of the drive-train system within a 5 MW direct-drive wind turbine by considering the unbalanced magnetic pull force. The adjustment of rotor position and weight changes the location of the centre of gravity of the drive-train system. The drive-train system which consists of the main shaft, rotor, hub and blades is modelled as a four degree-of-freedom nonlinear system. Both rotor displacement and bearing forces are obtained for a wide range of rotor position and weight under different rotating speeds. The obtained results would provide useful information on the optimized rotor position and mass ratio to improve the performance of the drive-train system. © 2018, Springer Science+Business Media B.V., part of Springer Nature. This paper studies the dynamics of a maglev system around 1:3 resonant Hopf–Hopf bifurcations. When two pairs of purely imaginary roots exist for the corresponding characteristic equation, the maglev system has an interaction of Hopf–Hopf bifurcations at the intersection of two bifurcation curves in the feedback control parameter and time delay space. The method of multiple time scales is employed to drive the bifurcation equations for the maglev system by expressing complex amplitudes in a combined polar-Cartesian representation. The dynamics behavior in the vicinity of 1:3 resonant Hopf–Hopf bifurcations is studied in terms of the controller's parameters (time delay and two feedback control gains). Finally, numerical simulations are presented to support the analytical results and demonstrate some interesting phenomena for the maglev system. © 1963-2012 IEEE. This technical note studies the synchronization of discretely coupled harmonic oscillators by using an impulsive control strategy. In the absence of velocity measurements, a distributed protocol for the coupled harmonic oscillators is proposed under the assumption that each oscillator can only obtain the information of its position relative to its neighbors at a series of discrete time moments. Necessary and sufficient conditions are established for the synchronization of the networked system with and without an active leader over an undirected communication topology. The desirable sampling period is analytically found to be dependent on the network topology and position gain. A simple iterative method is developed to calculate the range in which the sampling period falls. Finally, numerical simulations are performed to show the effectiveness of the proposed protocols. © 2018 The Institution of Engineering and Technology. All rights reserved. This study addresses the problem of formation control with collision avoidance for networked Lagrangian systems with uncertain parameters interacting on directed network communication topologies. Two adaptive formation control strategies with collision avoidance are proposed by making use of adaptive gain techniques for both cases of with and without a dynamic leader. The main objective of the proposed control strategies is to dispatch a group of agents to maintain a desired geometric pattern, while still guarantee collision avoidance at any time, and eventually to achieve velocity matching. A distinctive feature of the developed adaptive gain is to adapt itself duly based on both the network communication topology and collision avoidance constraints, so it is feasible to be implemented in practice. Some general criteria are derived to guarantee that the desired formation with collision avoidance for the networked Lagrangian systems can be achieved. Finally, numerical simulations are given to show the performance of the proposed control methodologies. © 2019 by ASME. Saddle-node or period-doubling bifurcations of the near-grazing impact periodic motions have been extensively studied in the impact oscillators, but the near-grazing Neimark-Sacker bifurcations have not been discussed yet. For the first time, this paper uncovers the novel dynamic behavior of Neimark-Sacker bifurcations, which can appear in a small neighborhood of the degenerate grazing point in a two degree-of-freedom impact oscillator. The higher order discontinuity mapping technique is used to determine the degenerate grazing point. Then, shooting method is applied to obtain the one-parameter continuation of the elementary impact periodic motion near degenerate grazing point and the peculiar phenomena of Neimark-Sacker bifurcations are revealed consequently. A two-parameter continuation is presented to illustrate the relationship between the observed Neimark-Sacker bifurcations and degenerate grazing point. New features that differ from the reported situations in literature can be found. Finally, the observed Neimark-Sacker bifurcation is verified by checking the existence and stability conditions in line with the generic theory of Neimark-Sacker bifurcation. The unstable bifurcating quasi-periodic motion is numerically demonstrated on the Poincaré section. © Institution of Mechanical Engineers. Undesirable vibrations that occurred in cold rolling mills, widely known as chatter, are studied in this article by considering the interaction of three types of vibrations, namely, the longitudinal vibration of the rolled strip and the torsional and vertical vibrations of the upper work roll. The dynamic component of rolling force is determined using the quasi-static model under the assumption that the changes in roll gap and strip tension produce the variation of rolling force. The coupled vibrations of the work roll and rolled strip are mathematically governed by a set of 3-degree-of-freedom non-linear equations. Under chatter conditions, a new variable is introduced to represent the motion of the quasi-neutral point. A stability criterion for the motion of the quasi-neutral point is developed by studying the eigenvalues of the corresponding characteristic equation of the linearized parts of the non-linear equations. The chatter stability can then be examined by evaluating the determinants of five matrices. Numerical examples are given to show the stable and unstable vibrations in the cold rolling process. The unstable vibration would lead to skidding phenomenon and even break the rolled strip. The results presented in this article provide new insights into the dynamic interaction of the coupled vibrations and the dynamics of the rolling process. Networked multirobot systems under the coordinated control can perform tasks more effectively than a group of individually operating robots. This paper studies the group regional consensus of networked multirobot systems (formulated by second-order Lagrangian dynamics) having input disturbances under directed acyclic topology. An adaptive control protocol is designed to achieve group regional consensus of the networked Lagrangian systems with parametric uncertainties for both leader and leaderless cases. Sufficient conditions are established to guarantee group regional consensus for any prior given desired consensus errors. Compared with the existing work, a distinctive feature of the proposed control algorithm is that the stability analysis indicates the global validity of the obtained consensus results. Numerical examples are provided to demonstrate the effectiveness of the proposed scheme. Copyright © 2016 Inderscience Enterprises Ltd. Pressure changes in the liquid-filled fluid circuit of a hydraulically interconnected suspension (HIS) system can induce vibrations of the whole pipeline and the associated structure, and hence become a source of structural noise which degrades ride comfort. This paper presents a numerical and experimental investigation into the vibration of the hydraulic piping system of a passive interconnected suspension. The transfer matrix method (TMM) is used to develop a mathematical model, which consists of various pipe sections, hose sections, concentrated masses, spring supports, elbows, damper valves, and accumulators. Laboratory experiments are performed on two liquid-filled piping systems. The measured steady-state responses of the hydraulic circuits are compared with those obtained from numerical simulations of the developed model. It is found that the developed model of the hydraulic system has a reasonable accuracy in the frequency range of interest, and thus can be employed to optimise the design of the hydraulic system. A weakly nonlinear vibration absorber is designed to attenuate the primary resonance vibrations ofasingle-degree-of-freedom weakly nonlinear oscillator having cubic non-linearity.The linearised natural frequency of the nonlinear absorber is tuned to be approximately one-third the linearised natural frequency of the primary nonlinear oscillator. The low frequency mode for the absorber is favourably considered based on the fact that the nonlinear absorber can be easily realised in practice by using a light-weight mass attachment with small values of linear and nonlinear stiffness of coupling. For a given primary nonlinear oscillator and absorber mass, implementation of three-to-one internal resonances requires the smallest value of the absorber linear stiffness among three options for utilising internal resonances to design nonlinear absorber. It is found that the absorber response may admit either forced vibration having the forcing frequency or a combination of forced vibration and free-oscillation term having one third the forcing frequency. The nonlinear absorber can effectively suppress the amplitude of primary resonance response and eliminate saddle-node bifurcations occurring in the frequency-response curves of the primary nonlinear oscillator. Numerical results are given to show the effectiveness of the nonlinear absorber for suppressing nonlinear vibrations of the primary nonlinear oscillator under primary resonance conditions. The steady-state response of forced single degree-of-freedom weakly nonlinear oscillators under primary resonance conditions can exhibit saddle-node bifurcations, jump and hysteresis phenomena, if the amplitude of the excitation exceeds a certain value. This critical value of excitation amplitude or critical forcing amplitude plays an important role in determining the occurrence of saddle-node bifurcations in the frequency-response curve. This work develops an alternative method to determine the critical forcing amplitude for single degree-of-freedom nonlinear oscillators. Based on Lagrange multipliers approach, the proposed method considers the calculation of the critical forcing amplitude as an optimization problem with constraints that are imposed by the existence of locations of vertical tangency. In comparison with the Gröbner basis method, the proposed approach is more straightforward and thus easy to apply for finding the critical forcing amplitude both analytically and numerically. Three examples are given to confirm the validity of the theoretical predictions. The first two present the analytical form for the critical forcing amplitude and the third one is an example of a numerically computed solution. Ji, J.C. & Zhang, N. 2011, 'Attenuation of primary resonance vibrations of a non-linear system using a non-linear vibration absorber', Australian Journal of Mechanical Engineering, vol. 8, no. 2, pp. 113-120. In a single degree-of-freedom weakly non-linear oscillator subjected to a periodic external excitation, a small-amplitude excitation may produce relatively large-amplitude vibrations under primary resonance conditions, when the forcing frequency is in the neighbourhood of the linearised natural frequency of the non-linear oscillator. Jump and hysteresis phenomena that result from saddle-node bifurcations may occur in the steady-state forced response. A non-linear vibration absorber is thus used to suppress the primary resonance vibrations. The two linearised natural frequencies of the resultant system formed by the non-linear primary system and nonlinear absorber are not under any internal resonance conditions. The method of multiple scales is used to obtain the averaged equations that determine the amplitudes and phases of the first-order approximate solutions. Illustrative examples are given to show the effectiveness of the non-linear vibration absorber for suppressing non-linear vibrations of the forced oscillator under primary resonance conditions. © Institution of Engineers Australia, 2011. Yang, L, Hu, J, Ning, L & Ji, J 2011, 'Comparative study on various forming patterns of rod based on computer simulation', International Review on Computers and Software, vol. 6, no. 5, pp. 848-855. Rigid-plastic finite element method and isoparametric element technology are used to build fully three-dimensional FEM models of hot rod rolling process of typical carbon steel. All kinds of thermal exchange phenomena are considered in the paper, such as conduction at the rolls-workpiece interface, convection and radiation between the workpiece or rollers and the surrounding environment, and heat generation due to plastic deformation and friction work. Numerical simulation is carried out to examine the deformation characteristics, temperature field, and distribution properties of force and energy parameters for four-pass rolling process of two oval-round rollers, three round-flat rollers and three arc-flat rollers with Y type, respectively. It is found that the rolling force of the workpiece shortens drastically by comparing three rollers of Y type with two oval-round rollers. The flow of metal is more balance and the impact and wear is smaller than the latter. The simulating results keep a good agreement with the experiment data and the reported results available in the literature, which proves the model and solving method is reasonable. © 2011 Praise Worthy Prize S.r.l. - All rights reserved. Super-harmonic resonances may appear in the forced response of a weakly nonlinear oscillator having cubic nonlinearity, when the forcing frequency is approximately equal to one-third of the linearized natural frequency. Under super-harmonic resonance conditions, the frequency response curve of the amplitude of the free-oscillation terms may exhibit saddle-node bifurcations, jump and hysteresis phenomena. A linear vibration absorber is used to suppress the super-harmonic resonance response of a cubically nonlinear oscillator with external excitation. The absorber can be considered as a small mass-spring-damper oscillator and thus does not adversely affect the dynamic performance of the nonlinear primary oscillator. It is shown that such a vibration absorber is effective in suppressing the superharmonic resonance response and eliminating saddle-node bifurcations and jump phenomena of the nonlinear oscillator. Numerical examples are given to illustrate the effectiveness of the absorber in attenuating the super-harmonic resonance response. In a single degree-of-freedom weakly nonlinear oscillator subjected to a periodic external excitation, a small-amplitude excitation may produce relatively large-amplitude vibrations under primary resonance conditions, when the forcing frequency is in the neighbourhood of the linearized natural frequency of the nonlinear oscillator. Jump and hysteresis phenomena that result from saddle-node bifurcations may occur in the steady-state forced response. A nonlinear vibration absorber is thus used to suppress the primary resonance vibrations. The two linearized natural frequencies of the resultant system formed by the nonlinear primary system and nonlinear absorber are not under any internal resonance conditions. The method of multiple scales is used to obtain the averaged equations that determine the amplitudes and phases of the first-order approximate solutions. Illustrative examples are given to show the effectiveness of the nonlinear vibration absorber for suppressing nonlinear vibrations of the forced oscillator under primary resonance conditions. This paper studies the infinite-time and finite-time synchronization of coupled harmonic oscillators with distributed protocol in the scenarios with and without a leader. In the absence of a leader, the convergence conditions and the final trajectories that each harmonic oscillator follows are developed. In the presence of a leader, it is shown that all harmonic oscillators can achieve the trajectory of the leader in finite time. Numerical simulations of six coupled harmonic oscillators are given to show the effects of the interaction function parameter, algebraic connectivity and initial conditions on the convergence time. This paper studies hot rolling process of typical low carbon steel by using rigid-plastic finite element method. Numerical simulations are carried out to examine the effects of the percentage of reduction rate, work-roll radius, frictional coefficient, rolling speed, tension, initial rolling temperature and initial slab thickness on rolling force and deformation behavior of the slab. It is found that rolling force increases with the increases of reduction rate, rolling speed, frictional coefficient and radius. The initial rolling temperature, initial slab thickness and tension have also important effects on rolling force, and it will decreases remarkably by increasing the parameters. Moreover, it is also found that rolling force remains unchanged when initial slab temperature reaches certain value. The friction and effective stress distribution in the slab are obtained for the steady-state rolling process. The positive friction in backward slip zone is found to be greater than the negative friction in forward slip zone along rolling direction, indicating that friction acts as the driving force in the rolling process. Based on a recently proposed model for the active-magnetic-bearing (AMB) switching mode of operation, this paper presents a robust TakagiâSugeno-model-based fuzzy-control strategy to stabilize the AMB with fast response speed subject to control-voltage saturation and parameter uncertainties. The sufficient conditions for the existence of such a controller are derived in terms of linear matrix inequalities. Numerical simulations against the proposed AMB model and a high-fidelity AMB model are used to validate the effectiveness of the proposed approach. In a single degree-of-freedom weakly nonlinear oscillator subjected to periodic external excitation, a small-amplitude excitation may produce a relatively large-amplitude response under primary resonance conditions. Jump and hysteresis phenomena that result from saddle-node bifurcations may occur in the steady-state response of the forced nonlinear oscillator. A simple massâspringâdamper vibration absorber is thus employed to suppress the nonlinear vibrations of the forced nonlinear oscillator for the primary resonance conditions. The values of the spring stiffness and mass of the vibration absorber are significantly lower than their counterpart of the forced nonlinear oscillator. Vibrational energy of the forced nonlinear oscillator is transferred to the attached light mass through linked spring and damper. As a result, the nonlinear vibrations of the forced oscillator are greatly reduced and the vibrations of the absorber are significant. The method of multiple scales is used to obtain the averaged equations that determine the amplitude and phases of the first-order approximate solutions to primary resonance vibrations of the forced nonlinear oscillator. Illustrative examples are given to show the effectiveness of the dynamic vibration absorber for suppressing primary resonance vibrations. The effects of the linked spring and damper and the attached mass on the reduction of nonlinear vibrations are studied with the help of frequency response curves, the attenuation ratio of response amplitude and the desensitisation ratio of the critical amplitude of excitation. A non-resonant interaction of two Hopf bifurcations may appear after the trivial solution of a controlled van der Pol-Duffing oscillator without external excitation loses its stability, when two critical time delays corresponding to two Hopf bifurcations have the same value. In the vicinity of the non-resonant Hopf bifurcations, the presence of a periodic excitation in the controlled oscillator can induce difference resonances in the forced response, when the forcing frequency and the frequencies of the two Hopf bifurcations satisfy certain relationships. It is found that the frequency response curves of the controlled system under difference resonances are an isolated closed curve. The difference resonance response may admit two stable motions on a three-dimensional torus consisting of three frequencies. Illustrative examples are given to show the quasi-periodic motions. Non-resonant bifurcations of codimension two may appear in the controlled van der Pol-Duffing oscillator when two critical time delays corresponding to a double Hopf bifurcation have the same value. With the aid of centre manifold theorem and the method of multiple scales, the non-resonant response and two types of primary resonances of the forced van der Pol-Duffing oscillator at non-resonant bifurcations of codimension two are investigated by studying the possible solutions and their stability of the four-dimensional ordinary differential equations on the centre manifold. It is shown that the non-resonant response of the forced oscillator may exhibit quasi-periodic motions on a two-or three-dimensional (2D or 3D) torus. The primary resonant responses admit single and mixed solutions and may exhibit periodic motions or quasi-periodic motions on a 2D torus. Illustrative examples are presented to interpret the dynamics of the controlled system in terms of two dummy unfolding parameters and exemplify the periodic and quasi-periodic motions. The analytical predictions are found to be in good agreement with the results of numerical integration of the original delay differential equation. A new method called the random factor method (RFM) for the natural frequency, mode shape and random vibration analysis of stochastic truss structures is presented in this paper. Using the RFM, the structural physical parameters and geometry can be considered as random variables. The structural stiffness and mass matrices can then, respectively, be described by the product of two parts corresponding to the random factors and the deterministic matrix. The structural natural frequencies, mode shapes and random response can be expressed as the function of the random factors. By means of the random variable's functional moment method and the algebra synthesis method, computational expressions for the mean value, standard deviation and variation coefficient of the dynamic characteristics, mean square value of the stationary random displacement and stress response are developed. The influences of the randomness of the structural parameters on the dynamic characteristics, structural displacement and stress responses are demonstrated using a truss structure and Monte-Carlo simulations illustrate the efficiency of the proposed method. The trivial equilibrium of a controlled van der PolDuffing oscillator with nonlinear feedback control may lose its stability via a non-resonant interaction of two Hopf bifurcations when two critical time delays corresponding to two Hopf bifurcations have the same value. Such an interaction results in a non-resonant bifurcation of co-dimension two. In the vicinity of the non-resonant Hopf bifurcations, the presence of a periodic excitation in the controlled oscillator can induce three types of additive resonances in the forced response, when the frequency of the external excitation and the frequencies of the two Hopf bifurcations satisfy a certain relationship. With the aid of centre manifold theorem and the method of multiple scales, three types of additive resonance responses of the controlled system are investigated by studying the possible solutions and their stability of the four-dimensional ordinary differential equations on the centre manifold. The amplitudes of the free-oscillation terms are found to admit three solutions; two non-trivial solutions and the trivial solution. Of two non-trivial solutions, one is stable and the trivial solution is unstable. A stable non-trivial solution corresponds to a quasi-periodic motion of the original system. It is also found that the frequency-response curves for three cases of additive resonances are an isolated closed curve. It is shown that the forced response of the oscillator may exhibit quasi-periodic motions on a three-dimensional torus consisting of three frequencies; the frequencies of two bifurcating solutions and the frequency of the excitation. Illustrative examples are given to show the quasi-periodic motions. The probabilistic and interval dynamic analysis of cars with uncertain parameters under random road input excitations by using a two-degree-of-freedom car model are presented in this paper. In the probabilistic analytical model, the vehicle parameters, including the sprung mass, unsprung mass, suspension damping, suspension, and tyre stiffness, are considered as random variables. The mean value, standard deviation, and variation coefficient of the vehicle's natural frequencies and mode shapes are obtained by using the Monte Carlo simulation method. Then, the computational expressions for the numerical characteristics of the mean square value of the vehicle's random response in the frequency domain are developed by means of the random variable's functional moment method. Considering the vehicle parameters as interval variables, the lower bound, upper bound, and interval change ratio value of the vehicle's random responses are obtained by means of the interval operations. The influences of the uncertainty of the vehicle parameters on the vehicle's natural frequencies, mode shapes, and dynamic responses are investigated in detail using a practical example. The comparison of the vehicle's dynamic characteristics using the probabilistic and interval analysis are also demonstrated. Magnetic bearings use magnetic forces to support various machine components. Because of the non-contact nature of this type of suspension, magnetic bearing technology offers a number of significant advantages over conventional bearings, such as rolling element and fluid film bearings. An active magnetic bearing basically consists of an electromagnetic actuator, position sensors, power amplifiers, and a feedback controller. All of these components are characterized by nonlinear behavior and therefore the entire system is inherently nonlinear. However, in simulations of the dynamic behavior of magnetic bearing systems, the nonlinearities are usually neglected to simplify the analysis and only linear models are used. Moreover, many control techniques currently used in magnetic bearing systems are generally designed by ignoring nonlinear effects. The main reason for simplification is the intractability of the complexity of the actual model. In fact, the inherent nonlinear properties of magnetic bearing systems can lead to dynamic behavior of a magnetically suspended rotor that is distinctly different from that predicted using a simple linearized model. Therefore, the nonlinearities should be taken into account. This literature review is focused on the nonlinear dynamics of magnetic bearing systems and it provides background information on analytical methods, nonlinear vibrations resulting from a rotor contacting auxiliary bearings, and other active topics of research involving the nonlinear properties of magnetic bearing systems, such as nonlinear self-sensing magnetic bearings and nonlinear control of magnetic bearings. The review concludes with a brief discussion on current and possible future directions for research on the nonlinear dynamics of magnetic bearing systems. The trivial equilibrium of a van der Pol-Duffing oscillator with a nonlinear feedback control may lose its stability via Hopf bifurcations, when the time delay involved in the feedback control reaches certain values. Nonresonant Hopf-Hopf interactions may occur in the controlled van der Pol-Duffing oscillator when the corresponding characteristic equation has two pairs of purely imaginary roots. With the aid of normal form theory and centre manifold theorem as well as a perturbation method, the dynamic behaviour of the nonresonant co-dimension two bifurcation is investigated by studying the possible solutions and their stability of the four-dimensional ordinary differential equations on the centre manifold. In the vicinity of the nonresonant Hopf bifurcation, the oscillator may exhibit the initial equilibrium solution, two periodic solutions as well as a quasi-periodic solution on a two-dimensional torus, depending on the dummy unfolding parameters and nonlinear terms. The analytical predictions are found to be in good agreement with the results of numerical integration of the original delay differential equation. The non-linear normal modes (NNMs) and their bifurcation of a complex two DOF system are investigated systematically in this paper. The coupling and ground springs have both quadratic and cubic non-linearity simultaneously. The cases of omega(1):omega(2) = 1:1, 1:2 and 1:3 are discussed, respectively, as well as the case of no internal resonance. Approximate solutions for NNMs are computed by applying the method of multiple scales, which ensures that NNM solutions can asymtote to linear normal modes as the non-linearity disappears. According to the procedure, NNMs can be classified into coupled and uncoupled modes. It is found that coupled NNMs exist for systems with any kind of internal resonance, but uncoupled modes may appear or not appear, depending on the type of internal resonance. For systems with 1: 1 internal resonance, uncoupled NNMs exist only when coefficients of cubic non-linear terms describing the ground springs are identical. For systems with 1:2 or 1:3 internal resonance, in additional to one uncoupled NNM, there exists one more uncoupled NNM when the coefficients of quadratic or cubic non-linear terms describing the ground springs are identical. The results for the case of internal resonance are consistent with ones for no internal resonance. For the case of 1:2 internal resonance, the bifurcation of the coupled NNM is not only affected by cubic but also by quadratic non-linearity besides detuning parameter although for the cases of 1: 1 and 1:3 internal resonance, only cubic non-linearity operate. As a check of the analytical results, direct numerical integrations of the equations of motion are carried out. In this paper, the dynamics of a system of two van der Pol oscillators with delayed position and velocity coupling is studied by the method of averaging together with truncation of Taylor expansions. According to the slow-flow equations, the dynamics of 1: 1 internal resonance is more complex than that of non-1: 1 internal resonance. For 1: 1 internal resonance, the stability and the number of periodic solutions vary with different time delay for given coupling coefficients. The condition necessary for saddle-node and Hopf bifurcations for symmetric modes, namely in-phase and out-of-phase modes, are determined. The numerical results, obtained from direct integration of the original equation, are found to be in good agreement with analytical predictions. The nonlinear dynamics of a Duffing-van der Pol oscillator under linear-plus-nonlinear state feedback control with a time delay are investigated. By means of the averaging method and Taylor expansion, two slow-flow equations for the amplitude and phase of the primary resonance response are derived, from which the relations between the amplitude and phase of the primary resonance response and all other parameters are obtained, respectively. The singularity analysis of the equation governing the amplitude of the primary resonance response shows that the bifurcation modes are perturbations of the pitchfork bifurcation. Conditions preventing multiple solutions, corresponding to two different kinds of bifurcation modes, are given, since cases for which multiple solutions are available should be avoided. The stable condition for steady-state response is also given by the Routh-Hurwitz criterion. It is also shown that coupled nonlinear state feedback control can be replaced by uncoupled nonlinear state feedback control. The trivial equilibrium of a van der Pol-Duffing oscillator under a linear-plus-nonlinear feedback control may change its stability either via a single or via a double Hopf bifurcation if the time delay involved in the feedback reaches certain values. It is found that the trivial equilibrium may lose its stability via a subcritical or supercritical Hopf bifurcation and regain its stability via a reverse suberitical or supercritical Hopf bifurcation as the time delay increases. A stable limit cycle appears after a supercritical Hopf bifurcation occurs and disappears through a reverse supercritical Hopf bifurcation. The interaction of the weakly periodic excitation and the stable bifurcating solution is investigated for the forced system under primary resonance conditions. It is shown that the forced periodic response may lose its stability via a Neimark-Sacker bifurcation. Analytical results are validated by a comparison with those of direct numerical integration. In this paper, the dynamics of a system of two van der Pol oscillators with delayed position and velocity coupling is studied by the method of averaging together with truncation of Taylor expansions. According to the slow-flow equations, the dynamics of 1:1 internal resonance is more complex than that of non-1:1 internal resonance. For 1:1 internal resonance, the stability and the number of periodic solutions vary with different time delay for given coupling coefficients. The condition necessary for saddle-node and Hopf bifurcations for symmetric modes, namely in-phase and out-of-phase modes, are determined. The numerical results, obtained from direct integration of the original equation, are found to be in good agreement with analytical predictions. © 2005 Elsevier Ltd. All rights reserved. The trivial equilibrium of a two-degree-of-freedom autonomous system may become unstable via a Hopf bifurcation of multiplicity two and give rise to oscillatory bifurcating solutions, due to presence of a time delay in the linear and nonlinear terms. The effect of external excitations on the dynamic behaviour of the corresponding non-autonomous system, after the Hopf bifurcation, is investigated based on the behaviour of solutions to the four-dimensional system of ordinary differential equations. The interaction between the Hopf bifurcating solutions and the high level excitations may induce a non-resonant or secondary resonance response, depending on the ratio of the frequency of bifurcating periodic motion to the frequency of external excitation. The first-order approximate periodic solutions for the non-resonant and super-harmonic resonance response are found to be in good agreement with those obtained by direct numerical integration of the delay differential equation. It is found that the non-resonant response may be either periodic or quasi-periodic. It is shown that the super-harmonic resonance response may exhibit periodic and quasi-periodic motions as well as a co-existence of two or three stable motions. Ji, J., Lim, C. & Hansen, C.H. 2005, 'Stability switches of a controlled van der Pol-Duffing oscillator', Dynamics of Continuous, Discrete and Impulsive Systems. Series B: Applications and Algorithms, vol. 12, no. 4b, pp. 574-577. The trivial equilibrium of a van der Pol-Duffing oscillator under a nonlinear feedback control may change its stability via either a single or a double Hopf bifurcation if the time delay involved in the feedback reaches certain values. The conditions for switches between stability and instability of the zero solution and the occurrence of Hopf bifurcations are established based on the linear stability analysis. For a double Hopf bifurcation, it is found that the trivial equilibrium may lose its stability via a subcritical or supercritical Hopf bifurcation and regain its stability via a reverse subcritical or supercritical Hopf bifurcation when the time delay is increased. A stable limit cycle appears after a supercritical Hopf bifurcation occurs and disappears through a reverse supercritical Hopf bifurcation. This paper is concerned with a study of the influence of a time delay occurring in a PD feedback control on the dynamic stability of a rotor suspended by magnetic bearings. In the presence of geometric coordinate coupling and time delay, the equations of motion governing the response of the rotor are a set of two-degree-of-freedom nonlinear differential equations with time delay coupling in nonlinear terms. It is found that as the time delay increases beyond a critical value, the equilibrium position of the rotor motion becomes unstable and may bifurcate into two qualitatively different kinds of periodic motion. The resultant Hopf bifurcation is associated with two coincident pairs of complex conjugate eigenvalues crossing the imaginary axis. Based on the reduction of the infinite dimensional problem to the flow on a four-dimensional center manifold, the bifurcating periodic solutions are investigated using a perturbation method. The trivial equilibrium of a nonlinear autonomous system with time delay may become unstable via a Hopf bifurcation of multiplicity two, as the time delay reaches a critical value. This loss of stability of the equilibrium is associated with two coincident pairs of complex conjugate eigenvalues crossing the imaginary axis. The resultant dynamic behaviour of the corresponding nonlinear non-autonomous system in the neighbourhood of the Hopf bifurcation is investigated based on the reduction of the infinite-dimensional problem to a four-dimensional centre manifold. As a result of the interaction between the Hopf bifurcating periodic solutions and the external periodic excitation, a primary resonance can occur in the forced response of the system when the forcing frequency is close to the Hopf bifurcating periodic frequency. The method of multiple scales is used to obtain four first-order ordinary differential equations that determine the amplitudes and phases of the phase-locked periodic solutions. The first-order approximations of the periodic solutions are found to be in excellent agreement with those obtained by direct numerical integration of the delay-differential equation. It is also found that the steady state solutions of the nonlinear non-autonomous system may lose their stability via either a pitchfork or Hopf bifurcation. It is shown that the primary resonance response may exhibit symmetric and asymmetric phase-locked periodic motions, quasi-periodic motions, chaotic motions, and coexistence of two stable motions. An approximate solution for the super-harmonic resonance response of a periodically excited nonlinear oscillator with a piecewise nonlinear-linear characteristic is constructed using both a matching method and a modified averaging method. The validity of the developed analysis is confirmed by comparing the approximate solutions with the results of direct numerical integration of the original equation. An analytical approximate solution is constructed for the primary resonance response of a periodically excited non-linear oscillator, which is characterized by a combination of a weakly non-linear and a linear differential equation. Without eliminating the secular terms, a valid asymptotic expansion solution for the weakly non-linear equation is analytically determined for the case of primary resonances. Then, a symmetric periodic solution for the overall system is obtained by imposing continuity and matching conditions. The stability characteristic of the symmetric periodic solution is investigated by examining the asymptotic behaviour of perturbations to the steady state solution. The validity of the developed analysis is highlighted by comparing the first order approximate solutions with the results of numerical integration of the original equations. The main characteristic of a forced single-degree-of-freedom weakly nonlinear system is determined by its primary, super- and sub-harmonic resonances. A nonlinear parametric feedback control is proposed to modify the steady-state resonance responses, thus to reduce the amplitude of the response and to eliminate the saddle-node bifurcations that take place in the resonance responses. The nonlinear gain of the feedback control is determined by analyzing the bifurcation digrams associated with the corresponding frequency-response equation, from the singularity theory approach. It is shown by illustrative examples that the proposed nonlinear feedback is effective for controlling three kinds of resonance responses. The dynamics of a periodically forced single-degree-of-freedom linear system with a proportional feedback control subjected to a saturation constraint is investigated in detail. Emphasis is placed on the determination of a double-entering saturation region per cycle periodic motion. Symmetric period-one solutions are derived analytically and their stability characteristics are determined. Other kinds of solutions such as asymmetric, subharmonic and chaotic solutions as well as multiple-crossing saturation region per cycle periodic solutions, found through numerical simulations, are also presented. Ji, J & Leung, A 2004, 'Periodic and chaotic motions of a harmonically forced piecewise linear system', International Journal of Mechanical Sciences, vol. 42, no. 6, pp. 1807-1825. The dynamics of a harmonically excited single degree-of-freedom linear system with a feedback control, in which the actuator is subjected to dead zone and saturation constraints, is investigated in detail. The controlled system is mathematically modeled by a set of three piecewise linear equations. It is found that the system may exhibit nine types of symmetric and asymmetric period-one motions, which are characterized by a different number of crossing dead zone and saturation region per cycle. A solution for the symmetric period-one motion with a doubly crossing dead zone and saturation region is analytically constructed and its stability characteristics is examined. Other types of dynamic response such as sub-harmonic periodic motions and chaotic motions, found through numerical simulations, are also presented. A global symmetric period-1 approximate solution is analytically constructed for the non-resonant periodic response of a periodically excited piecewise nonlinear-linear oscillator. The approximate solutions are found to be in good agreement with the exact solutions that are obtained from the numerical integration of the original equations. In addition, the dynamic behaviour of the oscillator is numerically investigated with the help of bifurcation diagrams, Lyapunov exponents, Poincare maps, phase portraits and basins of attraction. The existence of subharmonic and chaotic motions and the coexistence of four attractors are observed for some combinations of the system parameters. The effect of time delays occurring in a proportional-integral-derivative feedback controller on the linear stability of a simple electromechanical system is investigated by analyzing the characteristic transcendental equation. It is found that the trivial fixed point of the system can lose its stability through Hopf bifurcations when the time delay crosses certain critical values. Codimension two bifurcations, which result from non-resonant and resonant Hopf-Hopf bifurcation interactions, are also found to exist in the system. A Jeffcott rotor with an additional magnetic bearing locating at the disc is employed to investigate the effect of time delays on the non-linear dynamical behavior of the system. The time delays are presented in the proportional and derivative feedback, respectively. For the corresponding autonomous system, a linear stability analysis is performed for the system with two identical time delays in the control loop. The nature of a single Hopf bifurcation is determined by constructing a center manifold. For the non-autonomous system, the primary resonance response is studied for its small non-linear motions using the method of averaging. The effects of time delays and control gains, as well as excitation amplitude, on the amplitude of the steady-state response are investigated. Finally, experiments are carried out to validate the theoretical predictions. The effect of non-linear magnetic forces on the non-linear response of the shaft is examined for the case of superharmonic resonance in this paper. It is shown that the steady-state superharmonic periodic solutions lose their stability by either saddle-node or Hopf bifurcations. The system exhibits many typical characteristics of the behavior of non-linear dynamical systems such as multiple coexisting solutions, jump phenomenon, and sensitive dependence on initial conditions. The effects of the feedback gains and imbalance eccentricity on the non-linear response of the system are studied. Finally, numerical simulations are performed to verify the analytical predictions. Linear-plus-nonlinear feedback control is used to stabilize Hopf bifurcation in a rotor-magnetic bearing system, for which the linearized system possesses a double zero eigenvalues. The addition of nonlinear (quadratic) terms to the original linear feedback control formulation is used to modify the coefficients of the nonlinear terms in the reduced normal forms. It is found that feedback control incorporating certain quadratic terms renders the Hopf bifurcation supercritical. Finally, illustrative examples are given to verify the analytical results. The effect of time delays occurring in the feedback control loop on the linear stability of a simple magnetic bearing system is investigated by analyzing the associated characteristic transcendental equation. It is found that a Hopf bifurcation can take place when time delays pass certain values. The direction and stability of the Hopf bifurcation are determined by constructing a center manifold and by applying the normal form method. It is also found that a codimension two bifurcation can occur through a Hopf and a steady state bifurcation interaction. Finally, numerical simulations are performed to verify the analytical predictions. The primary, superharmonic, and subharmonic resonances of a harmonically excited non-linear s.d.o.f. system with two distinct time-delays in the linear state feeback are studied. The two different time-delays are presented in the proportional feedback and the derivative feedback respectively. The method of multiple scales is utilized to obtain the first order approximation of response. The effect of the feedback gains and time-delays on the steady state responses of three types of resonances is investigated. It is found that a proper selection of the feedback gains and time-delays can enhance the control performance. A linear time-delayed feedback control is used to delay the occurrence of pitchfork bifurcations and to eliminate saddle-node bifurcations, which may arise in the nonlinear response of a parametrically excited Duffing system under the principal parametric resonance. The feedback gains and the time delay are chosen by analyzing the modulation equations of the amplitude and the phase. It is shown that by using an appropriate feedback control, the stable re,,ion of the trivial solutions can be broadened, a discontinuous bifurcation can be transformed into a continuous one, and the jump phenomenon in the resonance response can be removed. It is well known that saddle-node bifurcations can occur in the steady-state response of a forced single-degree-of-freedom (SDOF) nonlinear system in the cases of primary and superharmonic resonances. This discontinuous or catastrophic bifurcation can lead to jump and hysteresis phenomena, where at a certain interval of the control parameter, two stable attractors exist with an unstable one in between. A feedback control law is designed to control the saddle-node bifurcations taking place in the resonance response, thus removing or delaying the occurrence of jump and hysteresis phenomena. The structure of candidate feedback control law is determined by analyzing the eigenvalues of the modulation equations. It is shown that three types of feedback - linear, nonlinear, and a combination of linear and nonlinear - are adequate for the bifurcation control. Finally, numerical simulations are performed to verify the effectiveness of the proposed feedback control. The non-linear response of a rotor supported by active magnetic bearings is investigated, and both primary and internal resonances are considered. The method of multiple scales is used to obtain four first order ordinary differential equations that describe the modulation of the amplitudes and phases of vibrations in the horizontal and vertical directions. The steady state response and the stability of the solutions are determined numerically from the reduced system. It is shown that the steady state solutions lose their stability by either saddle-node bifurcation or Hopf bifurcation. In the regime of multiple coexisting solutions, two stable solutions are found. The effect of imbalance eccentricity, as well as the effect of the proportional and derivative gains of the controller on the non-linear response of the system, are studied. Finally, numerical simulations are performed to verify the analytical predictions. This paper presents experimental realization of dependence on initial conditions in the nonlinear response of a two-degree-of-freedom (two-DOF) nonlinear system, by employing a nonlinear beam-mass mechanical structure. The experimental data show that the structure exhibits different dynamic behavior under different initial conditions. The non-linear dynamics of a rigid rotor levitated by active magnetic bearings is investigated. The vibrations in the horizontal and vertical directions are analyzed on the center manifold near the double-zero degenerate point by using normal-form method. The resulting normal forms in the horizontal and vertical directions are different due to the effect of rotor weight. It is shown that the vibratory behavior in the vertical direction can be reduced on the center manifold to the Bogdanov-Takens form. For the autonomous case, there exist saddle-node bifurcation and Hopf bifurcation for local analysis, and a saddle-connection bifurcation for global analysis. For non-autonomous case, the Melnikov technique is used to determine the critical parameter at which the homoclinic orbits intersect transversally. For the vibrations in the horizontal direction, the essential non-linear terms of the truncated normal form are third order. The behaviors of zero solutions are given. Finally, numerical simulations are performed to verify the analytical predictions. An experimental investigation of the non-linear response of a clamped-sliding postbuckled beam subjected to a harmonic axial load is presented. Two types of resonances are considered: fundamental and subharmonic. The data demonstrate several non-linear phenomena including period-doubling sequence bifurcation, period-three, and chaotic motion. In addition, the effect of damping on the dynamic instability of the post-buckled beam is investigated. The regions of instability and chaotic response are shown for different damping levels. The resulting locus of instability of the periodic solutions in the amplitude-frequency parameter space provides valuable information on the overall dynamic behavior of the system. The qualitative changes can be observed when either the frequency or the amplitude of excitation is varied across a bifurcation curve. The measured data are illustrated through time histories, phase plots, Fourier spectra, and Poincare sections. The transient nonlinear dynamics of a high-speed unbalanced rigid rotor dropping onto rigid sliding bearings is investigated. The equations of motion are formulated and solved numerically to examine dynamics of the rotor for different regimes of the touchdown process. The contribution of parameters such as unbalance, air gap, coefficient of friction, and coefficient of restitution to drop dynamics of the rotor are examined. When the unbalance is small, the resulting motion is also small. As the level of unbalance increases, the motion of the rotor becomes larger, so there is potential for damage to the rotor and the backup bearings. The orbits of the rotor in the backup bearings after the rotor drops, velocities, and power loss during sliding-whirling stages are presented for various initial conditions and system parameters. Finally, based on simulation results, some design guidelines and suggestions are given. Ji, J & Yu, L 1999, 'Nonlinear dynamics of a high speed unbalanced rotor drop in rotating machinery equipped with active magnetic bearings', Jixie Gongcheng Xuebao/Chinese Journal of Mechanical Engineering, vol. 35, no. 5, pp. 62-66. Nonlinear dynamics of a high speed unbalanced rigid rotor drop onto rigid sliding-bearings is investigated. A theoretical formulation is proposed and solved numerically to examine the dynamics of the rotor. The orbits of the rotor in backup bearings after the rotor drop, velocities and power loss during the sliding-whirling are presented for various initial conditions and system parameters. The contribution of parameter such as air-gap, coefficient of friction, coefficient of restitution, and unbalance to the rotor drop dynamics is examined as well. The non-linear response of a T-shaped beam-mass structure is investigated theoretically and experimentally for the case of one-to-two internal resonance and principal parametric resonance of the lower mode. The method of multiple scales is used to determine four first order amplitude- and phase-modulation equations. The non-trivial steady state solutions are obtained from trivial solutions through pitchfork bifurcation. The Melnikov's method is used to predict the critical parameter at which the dynamical system possesses a Smale horseshoe type of chaos. To verify the analytical results, experiments were performed on the T-shaped beam-mass structure. The periodically amplitude-modulated motions and chaotically amplitude-modulated motions were observed during experiments. The results of the experiment showed good qualitative agreement with the theoretical predictions. Ji, J & Chen, Y 1999, 'Bifurcation in a parametrically excited two-degree-of-freedom nonlinear oscillating system with 1:2 internal resonance', APPLIED MATHEMATICS AND MECHANICS-ENGLISH EDITION, vol. 20, no. 4, pp. 350-359. The nonlinear response of a two-degree-of-freedom nonlinear oscillating system to parametric excitation is examined for the care of 1 : 2 internal resonance and, principal parametric resonance with respect to the lower mode. The method of multiple scales is used to derive four first-order autonomous ordinary differential equations for the modulation of the amplitudes and phases. The steady-state solutions of the modulated equations and their stability are investigated. The trivial solutions lose their stability through pitchfork bifurcation giving rise to coupled made solutions. The Melnikov method is used to study the global bifurcation behavior, the critical parameter is determined at which the dynamical system possesses a Smale horseshoe type of chaos. Ji, J, Yu, L & Chen, Y 1999, 'Amplitude modulated motions in a two degree-of-freedom system with quadratic nonlinearities under parametric excitation: experimental investigation', Mechanics Research Communications, vol. 26, no. 4, pp. 499-505. Ji, J & Yu, L 1998, 'Bifurcation of a two-degree-of-freedom nonlinear vibrating system subject to parametric excitation', Hsi-An Chiao Tung Ta Hsueh/Journal of Xi'an Jiaotong University, vol. 32, no. 10, pp. 83-87. The non-linear response of a two-degree-of-freedom nonlinear vibrating system subject to parametric excitation is examined for a two to one internal resonance and one-half subharmonic parametric resonance. The method of multiple scales is used to determine the amplitude-and phase-modulation equations to the first order. The coupled mode steady-state solutions are obtained from the trivial solution through pitchfork bifurcation. The Melnikov method is used to study the global bifurcation behavior while the critical parameter is determined for which the dynamical system possesses a Smale horseshoe type of chaos. © 2018 Technical Committee on Control Theory, Chinese Association of Automation. This paper investigates the impulsive cooperative behaviors of networked harmonic oscillators by using sampled position states only. A distributed effective algorithm is proposed based on delayed sampled position states over both directed and undirected network topologies. Some necessary and sufficient conditions are established by using the graph theory, ordinary differential equations theory and Schur-Cohn stability criterion. Theoretical results show that the harmonic oscillators can be synchronized if the sampling period fall in an appropriate open interval. Finally, simulations further verify the effectiveness of the theoretical results. © 2018 Technical Committee on Control Theory, Chinese Association of Automation. This paper studies the region tracking control problem of robot manipulator systems modeled by Lagrangian dynamics with uncertain kinematics and dynamics. By introducing a novel sliding mode, an adaptive controller is constructed to make the robot manipulator reach and track a desired dynamic region. Furthermore, a simple yet generic criterion on the region tracking control problem for robot manipulator systems is derived. It is shown that the robot end-effector can be able to reach in the desired dynamic region with the proposed controller in the presence of the uncertain kinematics and dynamics parameters. Based on the investigation, we revisit the region tracking problem with different control methodologies, to gain a brand-new understanding in the region tracking control problem. Finally, simulation results are presented to demonstrate the effectiveness of the theoretical results. © 2017 IEEE. Over the past few years Hybrid Electric and Electric propulsion systems have found significant attention as the most plausible substitute to fossil fuel based engines. Hybrid Electric Vehicles (HEV) have been around for more than a decade and extensive research has been taken out to make these vehicles more efficient. With advances in technology, manufacturers such as Tesla and Chevrolet have successfully launched a number of Electric Vehicles (EV) in the past 5 years. In despite of all this success, HEVs and EVs currently face challenges in energy storage systems (ESS) with regard to a variety of parameters and to overcome these issues research has been done on different types of ESS systems to extend the range of such vehicles. Flywheel Energy Storage Systems (FESS) have regained interest in the last decade and the application of kinetic energy recovery system (KERS) in the Formula 1 has reinforced the case of using FESS in HEV and EV. In this study, the integration of an FESS system within a hybrid electric propulsion and an electric propulsion system is considered and with the help of Bond-Graphs as a multidisciplinary modelling tool the impact of this integration is analyzed and compared with each other. Taheri, A, Akkari, S, Frimpong, R, Ji, J & Piotrowski, S 2014, 'Study on borehole stability in fractured rock mass in deep ground using distinct element method', Numerical Methods in Geotechnical Engineering - Proceedings of the 8th European Conference on Numerical Methods in Geotechnical Engineering, NUMGE 2014, pp. 421-426. This paper describes a numerical approach to assess the stability of a borehole in fractured rock mass in deep ground using the Distinct Element Method (DEM), utilized by Universal Distinct Element Code (UDEC). A symmetric regular fracture geometry under non-hydrostatic stress state was used to investigate the effects of the different parameters on borehole stability. For this, effects of discontinuities orientation, spacing, aperture and friction angle and properties of intact rock on the stability of borehole were studied.The results of the DEM analyses have confirmed that the presence of fractures and the existence of high in-situ stresses are important contributory factors to borehole instability in fractured rock. © 2014 Taylor & Francis Group. Zhao, J, Zhang, N & Ji, JC 2014, 'Modelling of fluid-structure interactions in the hydraulic circuit of passive interconnected suspensions', INTERNOISE 2014 - 43rd International Congress on Noise Control Engineering: Improving the World Through Noise Control, 43rd International Congress on Noise Control Engineering, Melbourne; Australia. The trivial equilibrium may lose its stability via two-to-one resonant Hopf bifurcations in a time-delayed nonlinear oscillator having quadratic nonlinear terms. Two co-existing sets of stable periodic solutions are numerically found by using different histories in the vicinity of the resonant Hopf bifurcations. One set of stable periodic solutions is of small amplitude and has the Hopf bifurcation frequencies while the other is of large amplitude and has different frequencies from those of Hopf bifurcations. The presence of a periodic excitation in the time-delayed nonlinear oscillator may induce dynamic interactions between the periodic excitation and either set of the stable periodic solutions. Under hard excitations, the forced response following the resonant Hopf bifurcations can exhibit super-harmonic resonance at half the lower Hopf bifurcation frequency. With the increase of the magnitude of the external excitation, the super-harmonic resonances related to the lower Hopf bifurcation frequency may disappear and become non-resonant forced response. Frequency spectrum analysis indicates that the frequency components related to Hopf bifurcations vanish and the frequency components corresponding to the large-amplitude bifurcating periodic motion appear in the forced response. Super-harmonic resonances can be re-established by adjusting the forcing frequency according to the newly appeared frequency components of the large-amplitude bifurcating periodic solutions. The present paper uses numerical integration to study the sudden loss and re-establishment of super-harmonic resonances in the time-delayed nonlinear oscillator having periodic excitation. Time trajectories, phase portraits and frequency spectra are used to show the different forced response of the time-delayed nonlinear oscillator under super-harmonic resonances. In order to investigate the validity of a coupled mill vibration model presented in the dynamic rolling formulation, this paper presents the results of dynamic characteristics examining rolling force variations in response to rolling parameters. Under the given steady state rolling condition, the unstable vibrational modes with corresponding frequencies are identified and stability analysis is also performed to demonstrate that the proposed model is highly dependent on the rolling speed and friction coefficient with an assumed negative gradient of friction coefficient. To further find the transient characteristics and the direct influences of the friction coefficient and rolling speed on the mill chatter, the derived equations of motion of the system are solved using Runge- Kutta numerical integration method. Simulations are carried out to reveal the chatter sources, which gives rise to unstable rolling vibrations. Copyright © 2012 by ASME. The fluid flow inside the liquid-filled pipe-guided hydraulic circuit of a Hydraulically Interconnected Suspension (HIS) often lead to vibrations of the whole pipeline and associated structures and hence become a source of structural noise. This paper presents an investigation of fluid induced vibration into the pipeline. The one-dimensional wave theory is employed to formulate the equations of motions that govern the dynamics of the fluid-structural system. Axial and one plane of lateral vibrations as well as the effects of shear deformation on the lateral vibration of the pipe are considered. The transfer matrix method (TMM) is applied to determine the steady state response of the fluid-structural system, which consists of various pipe sections, hose sections, damper valves, accumulators, supports and joints that connect separate pipe branches. The overall system transfer matrix including fluid and pipe mechanics is obtained by combining with field transfer matrices representing the motion of single pipe sections and hose sections and various point transfer matrices that describe specified junction conditions. The developed model of the hydraulic system is examined through simulations and laboratory based rig tests. The simulation results show the hydraulic components have apparent impact on the dynamics of combined pipe structural and fluid system. The experiments performed on a hydraulic circuit and the measured steady state responses of the circuit are compared with those obtained from the simulations. It is found that the developed model of the hydraulic system including the coupling with boundaries has a reasonable accuracy in the frequency range of interest. Copyright © 2011 by ASME. A weakly nonlinear vibration absorber is used to suppress the primary resonance vibrations of a single-degree-of-freedom weakly nonlinear oscillator subjected to periodic excitation. The linearized natural frequency (low frequency mode) of the nonlinear absorber is tuned to be approximately one-third of the linearized natural frequency (high frequency mode) of the primary nonlinear oscillator. The cubically nonlinear coupling of stiffness establishes the terms that develop three-to-one internal resonances. The low frequency mode required for the absorber can be achieved by a light-weight mass nonlinear attachment with small values of linear and nonlinear stiffness of coupling. The method of multiple scales is used to obtain the averaged equations that determine the amplitudes and phases of the first-order approximate solutions. Numerical results are given to show the effectiveness of the nonlinear absorber for suppressing nonlinear vibrations of the primary nonlinear oscillator under primary resonance conditions. The pressure changes produced inside the fluid circuits of Hydraulically Interconnected Suspensions (HIS) often lead to vibration of pipelines and associated structures and become a source of structural noise. This paper presents the theoretical and experimental investigation into the vibration of a liquid-filled pipe guided hydraulic circuit system that is often used in a HIS. The Transfer Matrix Method (TMM) is applied to determine the steady state response of the fluid-structural system, which consists of pipe sections, hose elements, an accumulator, and several supports. The developed model of the hydraulic system is examined through simulations and laboratory based rig tests. In this paper, the performed experiments are described and the measured steady state responses of the fluid circuit are compared with those obtained from the simulations. It is found that the developed model of the hydraulic system including the coupling with boundaries has a reasonable accuracy in the frequency range of interest. The sensitivity analysis of system parameters is performed in this paper and shows their influence on the system dynamics. In a single degree-of-freedom weakly nonlinear oscillator subjected to a periodic external excitation, a small-amplitude excitation may produce relatively large-amplitude vibrations under primary resonance conditions, when the forcing frequency is in the neighbourhood of the linearized natural frequency of the nonlinear oscillator. Jump and hysteresis phenomena that result from saddlenode bifurcations may occur in the steady-state forced response. A nonlinear vibration absorber is thus used to suppress the primary resonance vibrations. The two linearized natural frequencies of the resultant system formed by the nonlinear primary system and nonlinear absorber are not under any internal resonance conditions. The method of multiple scales is used to obtain the averaged equations that determine the amplitudes and phases of the first-order approximate solutions. Illustrative examples are given to show the effectiveness of the nonlinear vibration absorber for suppressing nonlinear vibrations of the forced oscillator under primary resonance conditions. Super-harmonic resonances may appear in a forced weakly nonlinear system of cubic nonlinearity, when the forcing frequency is approximately equal to one-third of the linearized natural frequency. In contrast with the corresponding linear oscillator, the free-oscillation term does not decay to zero despite of the presence of damping and the nonlinearity adjusts the frequency of the free-oscillation term to exactly three times the frequency of the excitation. Saddle-node bifurcations may appear in the frequency-response curve for the amplitude of the free-oscillation terms, which may lead to jump and hysteresis phenomenon. A small linear vibration absorber is designed to suppress the super-harmonic resonance response of the forced oscillator of cubic onlinearity. The absorber can be considered as a small mass-spring-damper oscillator in the sense that the mass and stiffness of the absorber are less than one-tenth of the values of the mass and linear stiffness of the forced nonlinear oscillator. It is shown that a small linear vibration absorber is effective in suppressing the super-harmonic resonance response of the system by transferring the vibrational energy from the main nonlinear oscillator to a small mass-spring-damper oscillator. Saddle-node bifurcations and jump phenomena can be easily eliminated by adding the small linear vibration absorber to the forced oscillator.